I fell in love with the recent Honda Ridgeline after utilizing one in the mountains that a friend had. It offered innovative storage spaces, was all wheel drive, and had a decent interior. The only thing was that it could not even town over 5,000lbs and thats because it had a V6 powertrain. Kinda weak right? 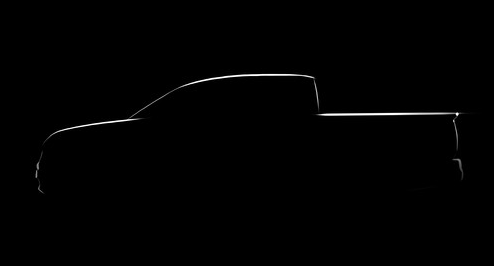 Honda has recently leaked photos of their 2016 second generation Ridgeline that looks more like the "Truck" image we all think of. I bet some people are going to be a little bummed that it doesn't have those trunk rails, but most people didn't like them anyways. I'm excited to see it, even if it is another 2 years. Honda Motors--An all-new Honda Ridgeline pickup truck will come to market in less than two years and, today, Honda shared a sketch expressing the new truck's styling direction. 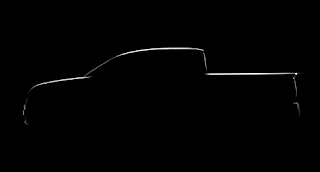 Honda also confirmed that production of the current Ridgeline (http://automobiles.honda.com/ridgeline/), built exclusively by Honda Manufacturing of Alabama, LLC, in Lincoln, Alabama, will conclude in mid-2014.